I will have some big news for Jellyfish fans in the next few months. It's a project that will be coming together the rest of the year and will see the light of day on the front half side of 2011! What is it? Well, that is still under wraps but I will let you know as soon as I am able to share that with you. Curses to you, Bruce. The last time you teased us so was when Not Lame released the Jellyfish Fan Club box set. What is possibly left to do?!? I'm sure they won't reunite, but dammit with such a tease like this it keeps such a ridiculous dream alive. Listening to Oranjuly now. Very nice. 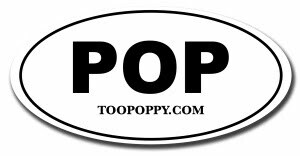 And very Too Poppy. I like to share some great advice to big win https://casinority.com/15-winning-roulette-strategies/. Try it. It is very helpful.